As a training professional, you fill learning gaps. You know training needs to be effective in the classroom, transferred to the job, and impactful to the organization. But how do you know when you’ve succeeded? You know smile sheets and attendance data aren’t enough, so how do you prove the real value of your training programs? Ultimately, it comes down to measurement...measuring the impact of your training program on your organization. For too long, the training industry struggled to show organizational impact. We’ve been convinced that training ROI can’t be captured. No more. And FINALLY, how a real ROI for your training program is created. Join us to take the mystery out of measurement and add understanding of the measurement to your professional practice. 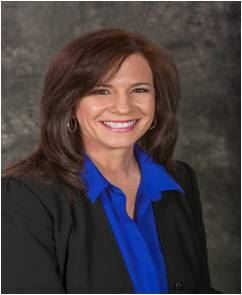 Laura Paramoure, EdD, has 25 years of experience in performance improvement, training design, and evaluation. She is the author of ROI by Design™ (2014) and a featured speaker on the topic of return on investment for training organizations such as Association of Talent Development (ATD). Her private sector experience includes Director of Training and Development with Parata systems where she was responsible for the establishment and deployment of both domestic and international training. She is currently the CEO of eParamus, a company which helps organizations of all types and sizes optimize and verify the impact of their training programs.